GLASGOW, August 7. /TASS/. Russian synchronized swimmer Svetlana Kolesnichenko won gold on Tuesday in solo free routine at the 2018 European Championships in Glasgow bringing up her tally of gold medals at the championship to four. The 24-year-old Russian won the event with the result of 94.9333. The silver went to Italy’s Linda Cerruti (92.5000 points) and Ukraine’s Yelizaveta Yakhno showed third best result of 92.1333 points to take the bronze. In all, Kolesnichenko won four gold medals at the 2018 European Championships in synchronized swimming - in duet technical, solo technical, duet free and solo free routines. 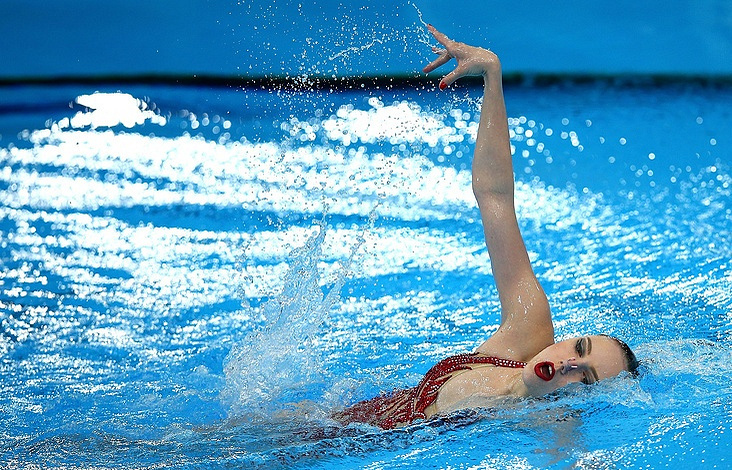 The solo free routine on Tuesday crowned the competitions in synchronized swimming at the European championship seeing athletes from the Russian national team winning eight out of nine gold medals in various routines. Russia did not participate in the combination free routine.